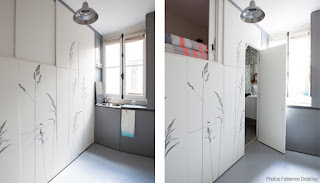 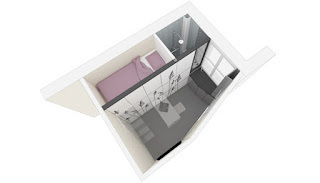 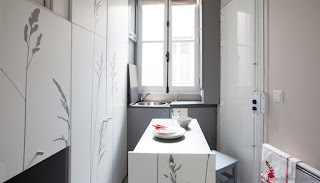 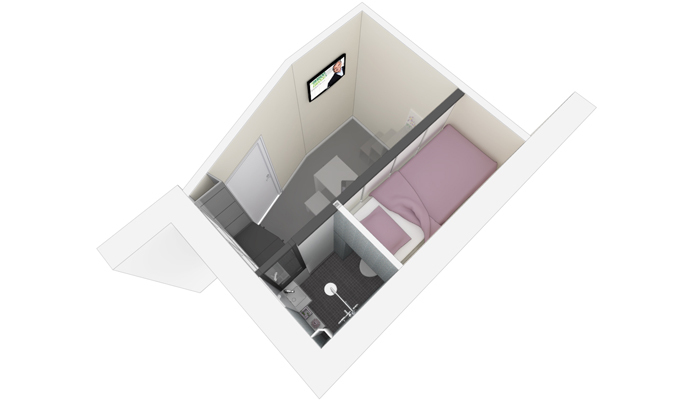 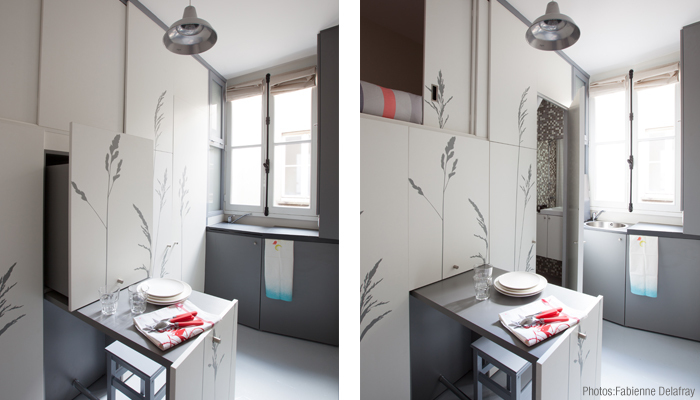 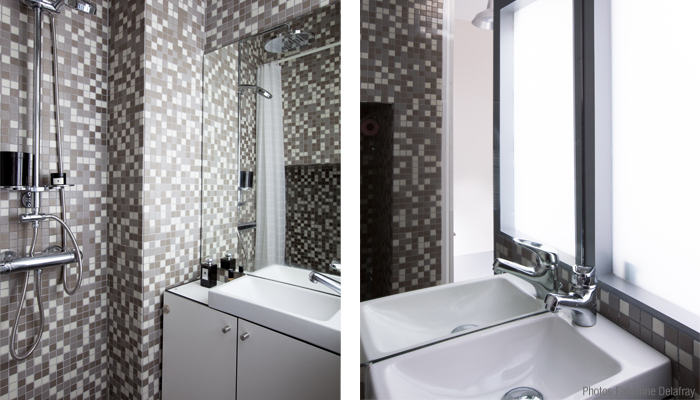 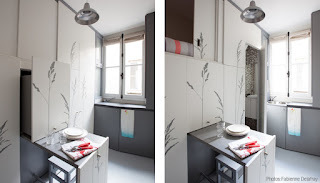 While you're on the topic of cleverly designed, tiny European living spaces, Kitoko Studio's 2014 overhaul of an 86-square-foot (8-square-meter) Parisian maid's room deserves to be mentioned. 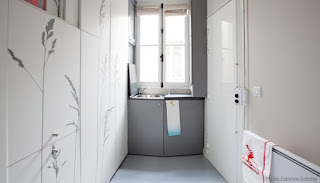 The upper floors of the beautiful Haussman buildings usually accommodated the servants of the people living below and tended to be quite small. In the case of the private residence pictured here, the family wanted to convert the former garret to an independent living space for their au pair. 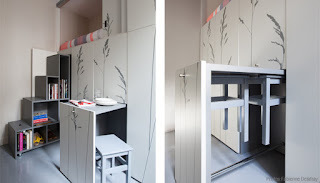 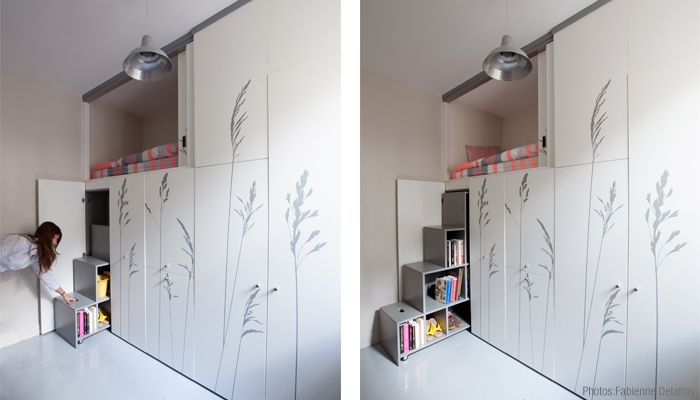 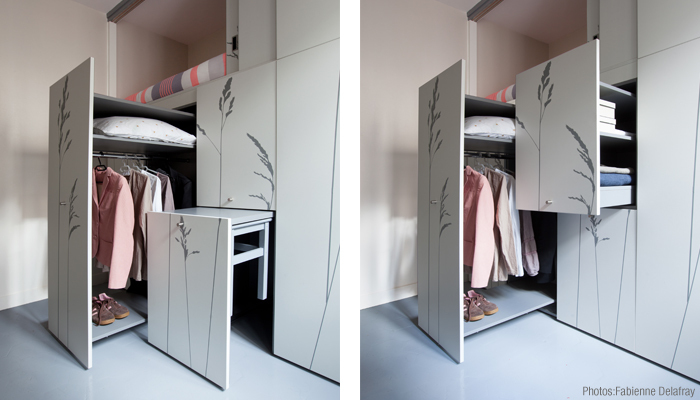 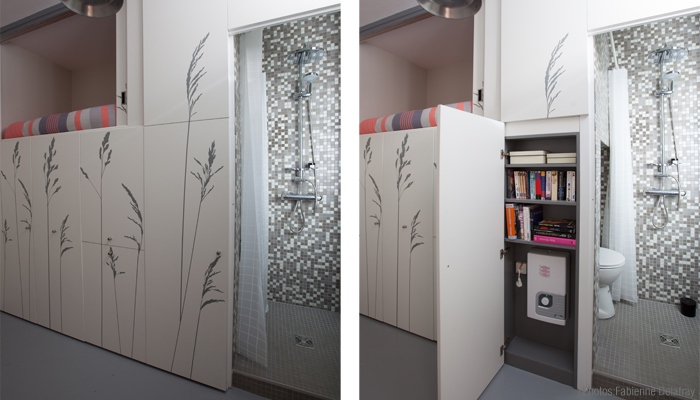 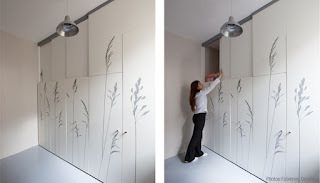 The architects at Kitoko Studio were drawn to the idea of a multifunctional Swiss Army knife; thus, they constructed a large cabinet into which one can enter (for access to bed and bathroom) and from which storage and furnishings can be withdrawn. 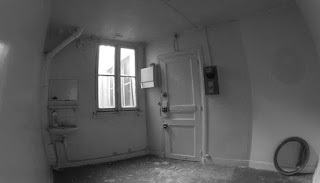 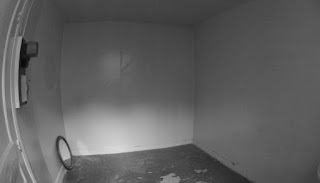 Click images to enlarge and/or watch the video for a more complete tour.